Those who grew up in the '90s—and watched Nickelodeon religiously—are probably familiar with the legendary show GUTS. For those not familiar, the show featured a fake mountain (called the Aggro Crag) that competitors would race up. 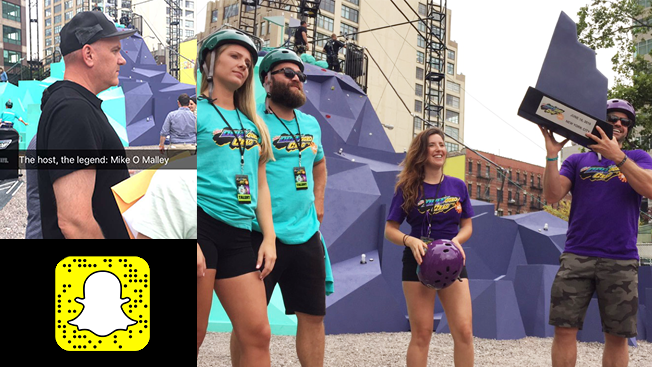 Tapping into '90s kid nostalgia, Mountain Dew resurrected the Aggro Crag in New York City last week as part of its "Dewcision 2016" campaign. The purpose of the campaign is to get die-hard Dew fans to vote for one of two flavors—Baja Blast or Pitch Black. The winning beverage will continue to be sold on store shelves while the other will be sent back to the vault. 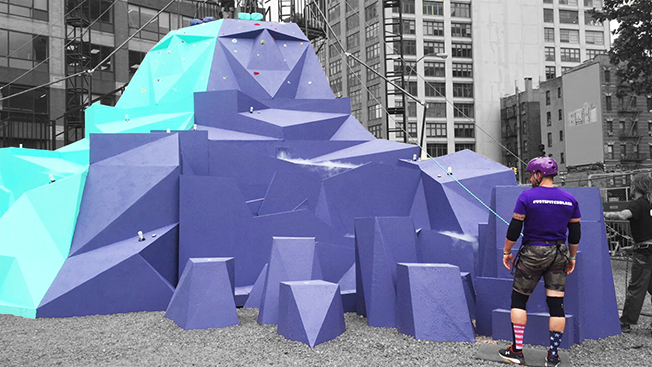 With the two flavors pitted against one another, the brand decided to create another battle-worthy event, creating the DEWggro Crag in partnership with Nickelodeon's The Splat. As part of the event, Mountain Dew and The Splat brought back the shows original host, actor Mike O'Malley, to interact with fans and get people pumped to run up the Aggro Crag. "25 years after we used to make episodes of Guts I just think it's incredible the nostalgia that grown men and women have for this program, which I think is awesome," O'Malley told Adweek. Mountain Dew also tapped MTV for the event bringing some of the most competitive stars from its hit show The Challenge to compete against each other. Throughout the day, Mountain Dew expanded the event by holding other events, all fitting within the battling mentality including a dueling piano session and dueling beat boxers. Voting for the campaign will continue online through July 9. Fans can either vote online at DEWcision.com or on Twitter using the hashtag #VoteBajaBlast or #VotePitchBlack. The campaign, which kicked off earlier in the year, also features a TV spot starring the DEW racing team, which is comprised of Chase Elliott, Kasey Kahne and Dale Earnhardt Jr.